The Faroe Islands are located Southeast of Iceland in the middle of the vast North Atlantic Ocean, surrounded by clean, ice-cold waters, providing ideal conditions for fishery. The majestic islands which make up the Faroe Islands are actually volcano tops formed thousands of years ago. Today the descendants of the Vikings who settled this rough land still live much the same way as they did hundreds of years ago; raising sheep and harvesting the bounty of Nature. Here the Gulf Stream meets the cold currents from the Polar Ocean and creates the perfect environment for fish. The waters surrounding the Faroe Islands are reputed to be the cleanest in the world and the fish stocks are thriving. Since the land was settled more than thousand years ago, the people of the Faroe Islands have been depending on the resources of the sea and have adjusted to the harsh God-given conditions under which they lived. Every day the ancient fisherman would row many miles out to the fishing grounds to provide food for his family. Later on conditions improved and larger vessels were used for fisheries. During these changes, the people of the Faroe Islands have shown flexibility and creativity enabling the Faroese fishing industry to be an important party in producing quality products. In 1948 Faroe Seafood started exporting salt fish to South Europe and South America. Today Faroe Seafood is a force in the international marketplace. The Faroe Brand means quality control from catch to processing, and distribution. 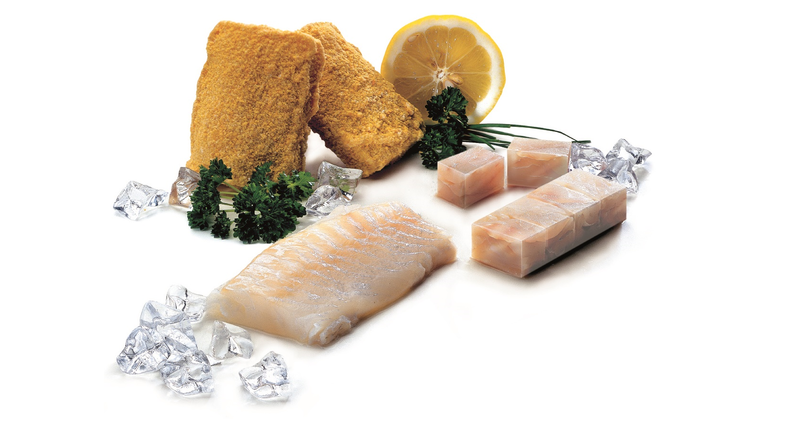 Faroe Brand Seafood Products - a long-standing quality supplier to Europe. For superior quality and workmanship - try Faroe Brand and let history repeat itself. The Faroe Seafood head-office is located in Tórshavn, the capital of the Faroe Islands. Faroe Seafood has subsidiary companies in France and United Kingdom. Until 1856 there were no big Faroese vessels to seek far distant fishing grounds. The first slupp Fox was bought from England in 1872 (a slupp is a cutter-like sailing ship). This was the beginning of Faroese fishing industry. In the beginning of this century the Slupps were motorized. This was regarded as a huge step in the right direction, despite the fact that tools as simple as a filleting table were often thrown overboard by superstitious old men who resisted having this new stuff to ruin their fishing-luck. Landing had to be over and done with as soon as possible. Therefore, both men and women participated in this, often noisy business. In the 1960's a new revolution took place. New modern steel-built longline ships were built, the first filleting plant saw the light of dawn and a lot of jobs were created on land again. Later the shrimp adventure in Greenland began, salmon farming started in the 1970Ã­s, and today the Faroe Islands are a modern society living of the bounty of the sea. During the Second World War, Faroese fishery stopped due to the danger of the mines and U-boats. However, the fleet of Slupps took the risky task of providing the English market with fish from Iceland. A large number of ships were lost and more than 300 men died. This was a huge impact on the fragile population of only 20,000 at that time, but money was earned and after the war a lot of steamtrawlers were purchased to the fleet. Although this development resulted in losses of jobs on land, it was the start of a new area in Faroese history and the beginning of a modern Faroese society, which is know to all of us today. 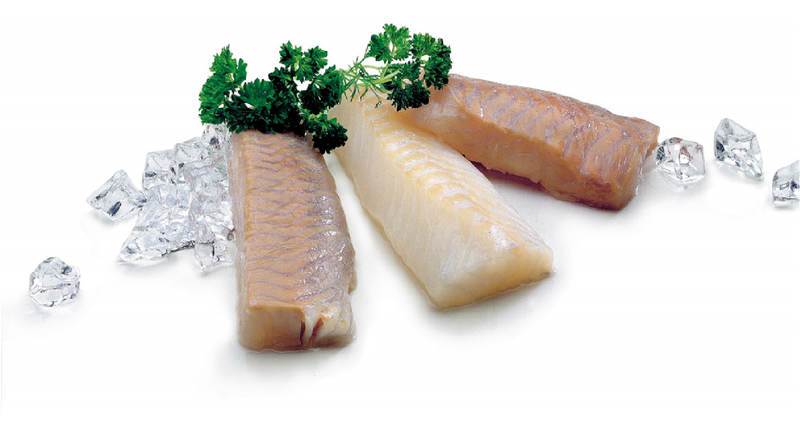 Faroe Seafood is specialized in fresh fillets and portions for the European market. The fresh products are produced mainly from cod, haddock, saithe, redfish and greenland halibut caught by modern trawlers and long liners in the northern part of the Atlantic Ocean enabling the Faroe Seafood to supply a wide range of top quality fresh fish. The fresh iced products are packed according to specification in 3, 5, 10 or 20 kg boxes and the production volume is approximately 1500 tons per year. Transportation oppertunities to the mainland are frequent and shipments of fresh products from Faroe Seafood depart from the achipelago several times a week. Among Faroe Seafood's core products for the catering market are IQF filets and portions produced from saithe, cod and haddock. Every year approximately 5000 tons are produced for the European catering market. Faroe Seafood delivers IFQ products in portions with an interval of +/- 10 grams, for example 100/120 and 120/140 grams packed in 3 or 5 kg cartons according to customers' specification. Addionally, the IQF products can be packed and delivered in bags. The production is carefully performed and the products are stored in state-of-the-art freezers. As experienced suppliers for the catering marked we are able to respond to the demands for traceability and correct labelling of the products. 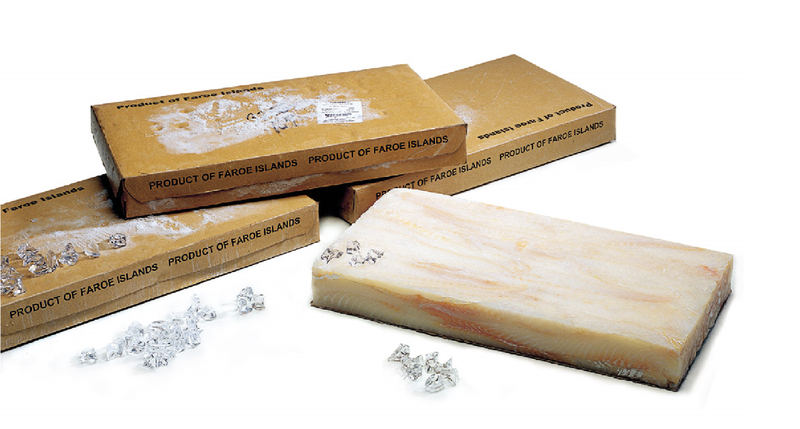 Faroe Seafood's basic product is the fish block. The blocks are produced mainly from saithe haddock or cod caught in the North Atlantic waters. The production takes place on five of our seven plants and the volume is 8000 tons per year . The blocks are packed in standard 16.5 lbs. The dimension of each and every block is checked to ensure that only blocks with correct dimensions are shipped. 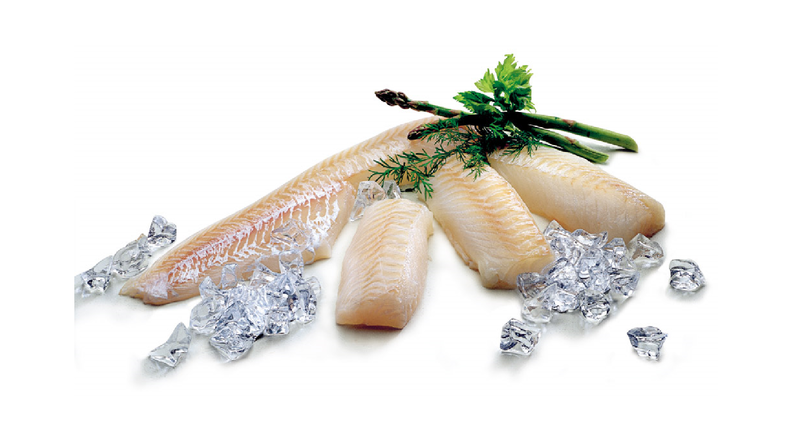 Our production also comprises high quality fillets packed interleaved in standard 15 lbs. Production volume of interleaved fillets is approximatly 1500 tons per year. 15% of Faroe Seafood's export. Salmon is farmed in the clean, ice-cold waters surrounding the Faroe Islands providing ideal conditions for farming. The fish farmings are situated in close distance to the plants, thereby securing the freshness of the products. Faroe Seafood is vertically integrated in the production and by being at the source of the supply, Faroe Seafood is able to offer high quality products at competitive prices. Salmon is available all through the year.